Georgine Saves » Blog Archive » Good Deal: Bosch DDB181-02 Drill Kit $74.99 + Ships FREE! TODAY ONLY! Good Deal: Bosch DDB181-02 Drill Kit $74.99 + Ships FREE! TODAY ONLY! 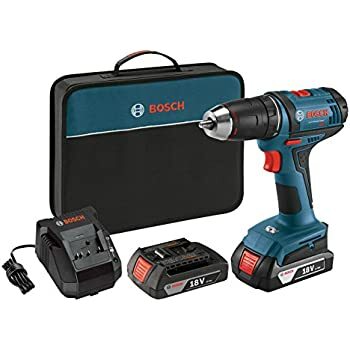 #ad Today only, 3-26-19, you can save 24% on the Bosch DDB181-02 Drill Kit at Amazon.com. This compact, cordless tool drill set includes Drill, Bit, 1.5Ah Batteries, Charger, Contractor Bag For Electricians, Plumbers, HVAC Tradesman. Think ahead to Father’s Day as this is a great idea for the handyman in your life! Shipping is FREE!